A State and Nationally recognized school district of excellence. Everything we do is centered around teaching and learning, with academics as our number one priority. We are proud of our students’ achievements, the instruction provided by our faculty, and the many educational programs offered to our community. We believe our exemplary educational system is the result of the collaboration of parents, students, school, and community. Together, we are improving the quality of life and learning for all. 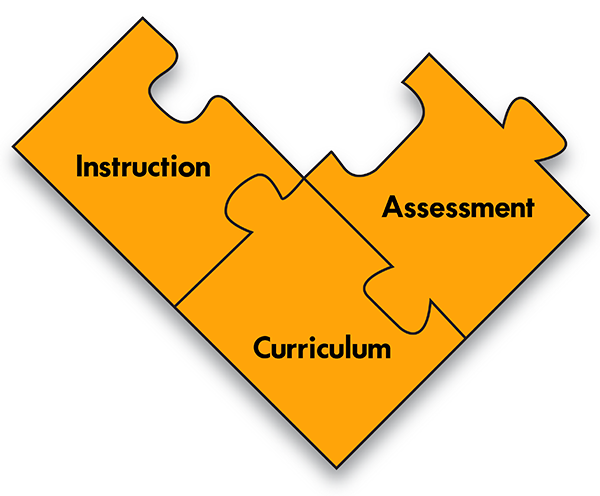 The three main areas of focus in the Academics Department are Curriculum, Instruction, and Assessment. Curriculum: What do we want our students to know? Instruction: How do we teach our students? Assessment: How do we know our students are learning? Our curriculum is based on standards that promote rigor and relevance and set expectations based upon the belief that all students will succeed. Some students will need additional time and support but all will learn and experience success. Students will learn content relevant to their future plans, whether it be the work-force, the military, or post-secondary education. In addition to rigor and relevance, we recognize the importance of the third “R,” relationships, and their significance in helping students feel connected to their school. Our teachers are committed advocates for all students. We welcome you to review our website for additional information on course offerings, college credit opportunities, instructional deliveries and supports to meet the needs of all learners, our commitment to continuous improvement, and several other topics of interest as we strive to create a better future for our students and our world. If you have questions regarding academics or curriculum, please call the office of Assistant Superintendent of Instruction at 616.863.6556.